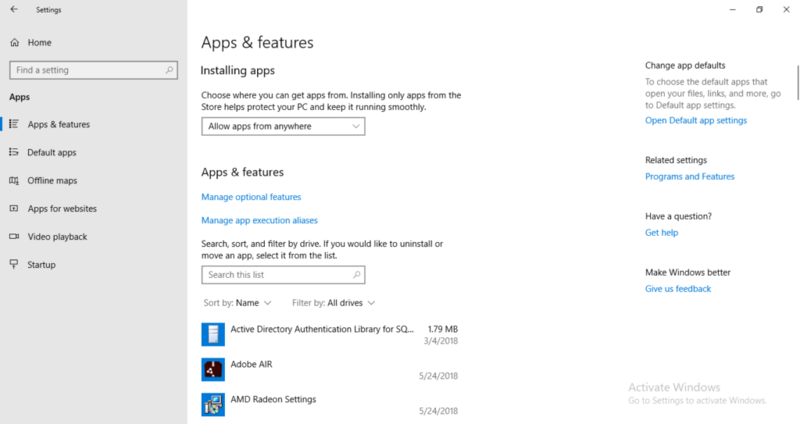 Whenever you install Windows or any other operating system, it always comes with a default web browser setting but many times it happens that, you are not comfortable in working with that particular web browser. Therefore, you feel the need of changing that web browser by setting up a new default web browser. 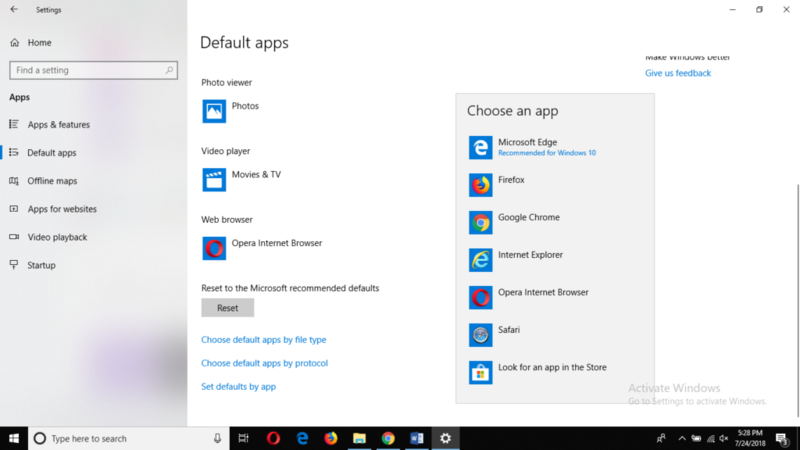 How can you set a default web browser in Windows 10 is the question which is under discussion in this article so let us proceed towards its solution. 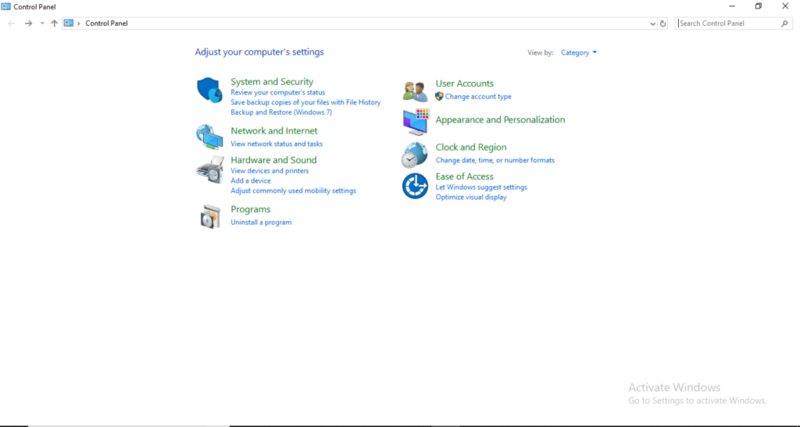 Just type Settings in the search area of your taskbar and click on the result to open it up. On the screen shown above, click on Apps. A new window shown below will pop up. Then click on whichever browser is listed below the Web browser field on the right-hand side. In our case, the default web browser is Opera Internet Browser. 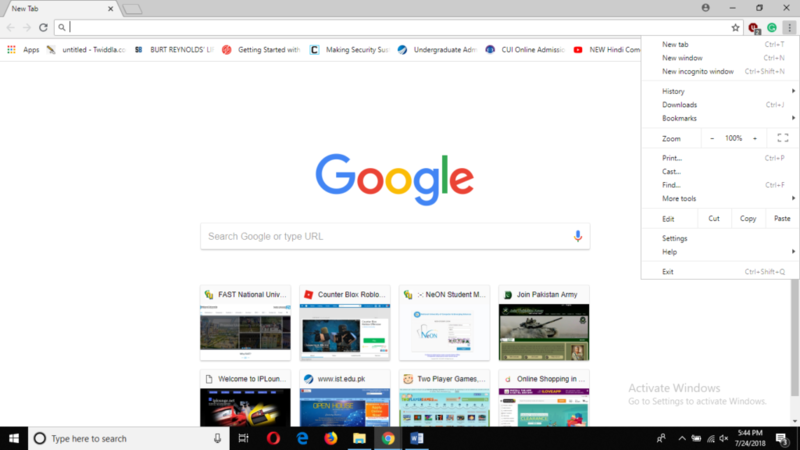 Now you can click on any browser from this list, which you want to set up as your default web browser, and you are all set to use it in the future. Launch Google Chrome by double clicking on its shortcut present on the desktop. 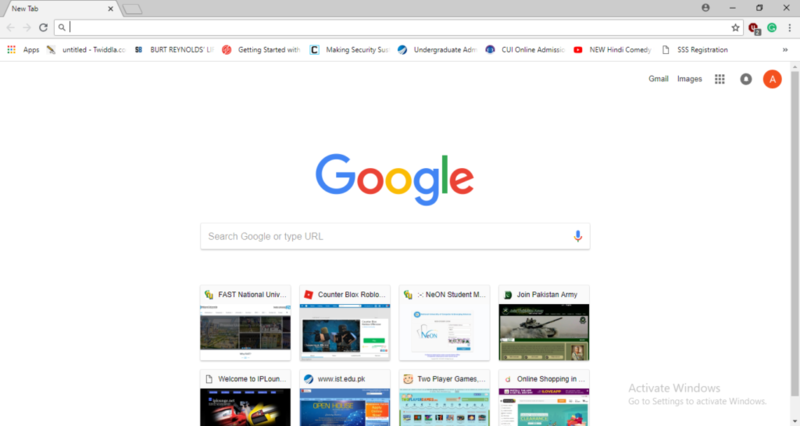 A new Google Chrome window will open up. From the menu shown above, click on settings. 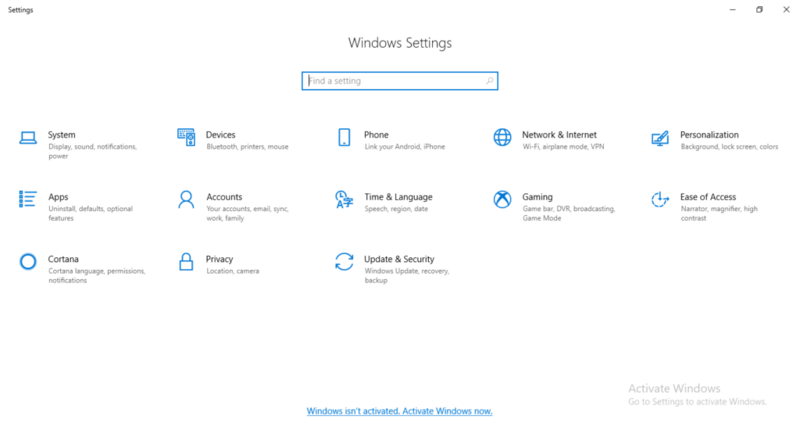 A new Settings screen will pop up. In the screen shown above, just click on Make Default option under the Default browser field. 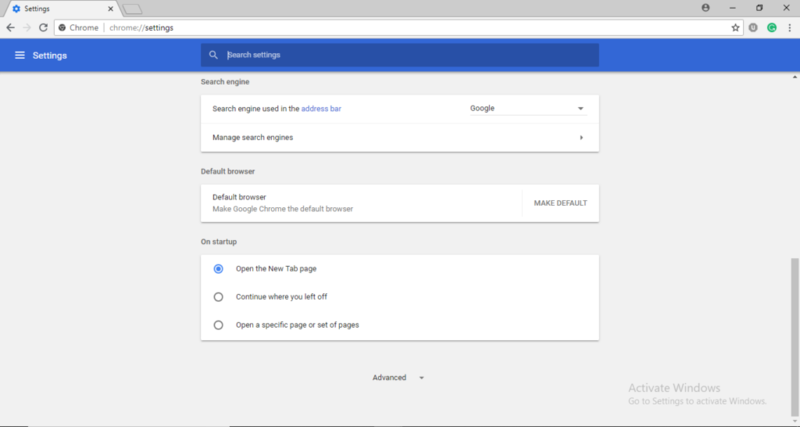 Now you can use Google Chrome as your default browser unless you change these settings. Type Control Panel in the search section of your taskbar and click on the result to open a new control panel window. 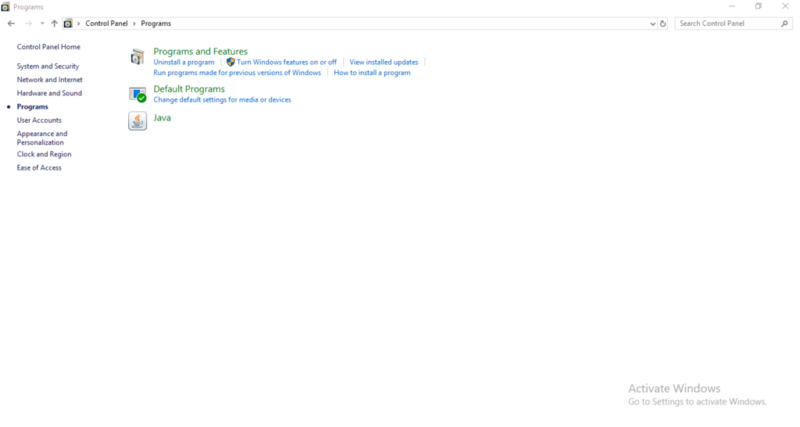 Click on Programs. The following screen will appear. 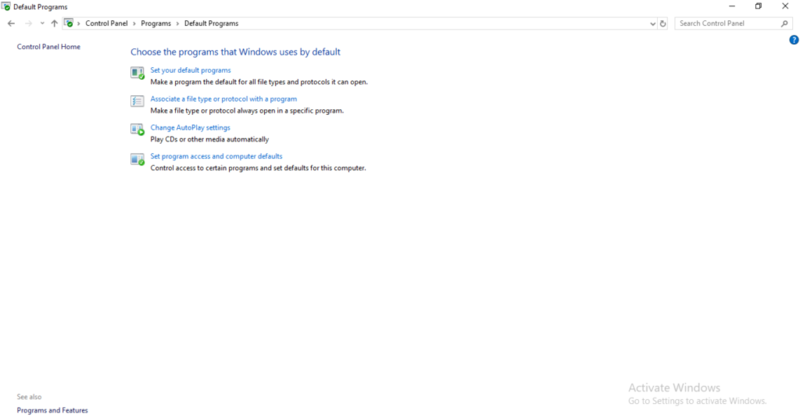 From this window, click on Set your default programs. This will take you to Settings App. From the list shown above, click on any web browser of your choice that you want to set up as your default web browser. 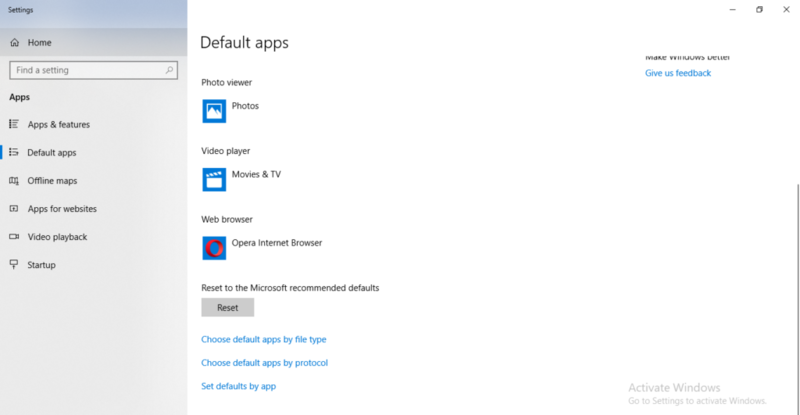 Now you can use this selected web browser as your default web browser in future unless you change it again. After going through this article, setting up a default web browser or changing a default web browser is surely not a big deal now. 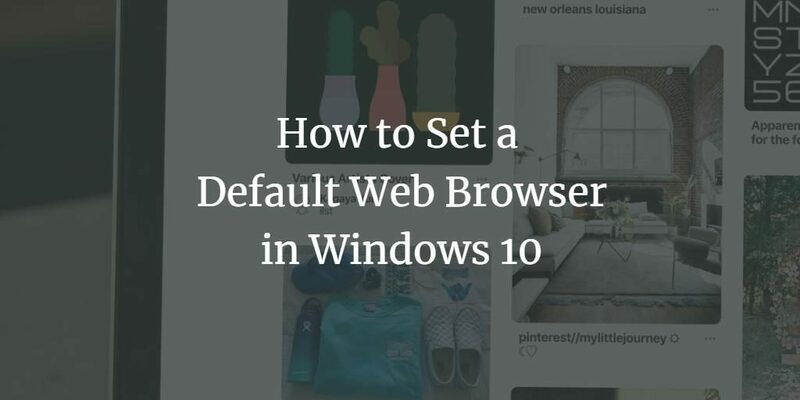 You just need to perform a limited number of simple steps and you are ready to use a new default web browser. You can use any of the three methods listed above right according to your ease and convenience. Although all the three solutions will lead you towards your goal. 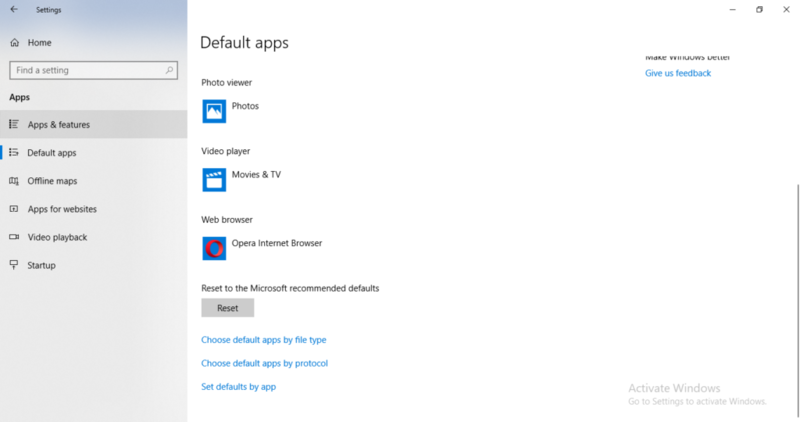 Therefore, setting up a new web browser is absolutely not a problem for Windows 10 users now.